One of the definitive Victorian cooking apples, with soft, juicy, acidic flesh, that cooks to a puree. The apples keep well, and can also be eaten fresh if you like a sharp apple. Victoria author Robert Hogg sums this variety up very well: " ... a marvellous bearer, and rarely fails to produce a crop". Please fill in the details below and we will let you know when Lane's Prince Albert apple trees are back in stock. Lane's Prince Albert is in flowering group 4. 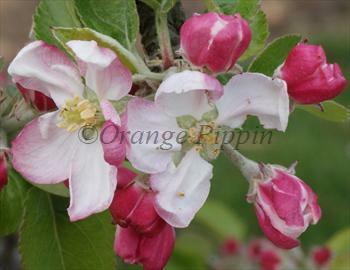 Lane's Prince Albert is self-sterile and needs to be pollinated by another tree of a different variety nearby. Lane's Prince Albert is quite easy to grow and performs well in most climates, including wetter climates. 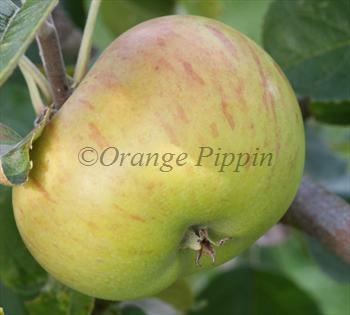 It is an excellent choice for if you are looking to grow a good quality cooking apple in less than ideal conditions. Discovered in the 1840s in Berkhamsted, possibly a seedling of Dumelow's Seedling.